Be a part of the LIVE studio audience! 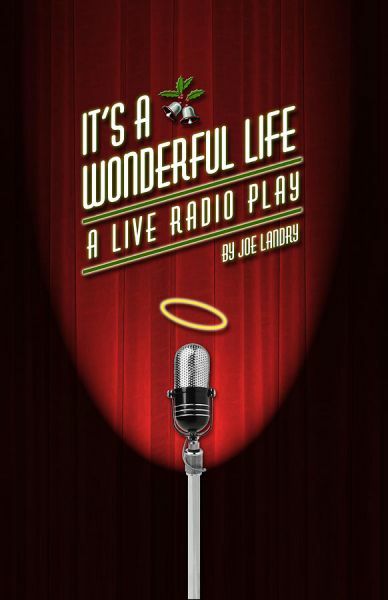 This beloved American holiday classic comes to captivating life on stage as a live 1940s style radio broadcast on KSSK-FM. A portion of the proceeds to benefit the Kailua Onstage Arts Theater Group. Click Here for tickets to the 8 PM Show. This beloved American holiday classic comes to captivating life as a live 1940s style radio broadcast. With the help of an ensemble cast that brings a few dozen characters to the stage, the story of idealistic George Bailey unfolds as he considers ending his life one fateful Christmas Eve. Be a part of the LIVE studio audience for a broadcast recording airing this Christmas on KSSK-FM, Honolulu. Starring Scott Robertson as George Bailey and Lauren Murata as Mary Hatch, the creative voice talents of Walter Eccles, Maleko McDonnell and Shannon Winpenny as the many residents of Bedford Falls. Featuring Nicole Tessier as Foley, creating incredible on-the-spot sound effects for this live studio recording.